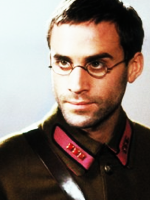 36 • Male • Egyptologist & Deputy Curator • Scholar • PB: Joseph Fiennes in Enemy at the Gates • Submitted by Vicky. Colin is an unfavorable person, particularly due to his superiority complex and spiteful personality. While he is the least favored scholar at the British Museum, he was one of the candidates for the position of the Head Curator of the Ancient Egypt and Sudan department. He lost in favor to Evelyn O'Connell and he became the Deputy Curator instead. That demotion (as he calls it) sparked an arch rivalry between them. However, in November 1934 when Evelyn sent in her resignation, he became the new curator of the department. However, with the number of times that Evelyn's returned to the Museum, he still feels threatened and wishes to secure his position, even if it means siding with Imhotep when he discovers him. But don't let that fool you—he's a bit of a coward when the situation's not in his favor. Knowledge of the series is not required to apply for Colin as we expect him to be treated as an adoptable/original character. The Mummy Animated series is not canon to Evil Eyes, therefore knowledge of that series is not required to play Colin Weasler. Colin’s treated as an original canon instead with plenty of flexibility on his history and personality traits. 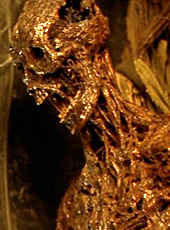 Colin's name is non-negotiable as he's technically a "Mummy canon." After being informed by Gabrielle that Evelyn required her services (What Do You Believe In? ), Colin was informed that they’d be in Ireland. Colin is meant to be cowardly and nerdy and these traits are non-negotiable. He is also not a gunslinger. A plot-point for Colin is that he’s supposed to join Imhotep’s side and possibly become a lackey.